One of the great blessings I’ve enjoyed during my 22 years as GCI President is sharing worship in multiple languages and styles with GCI congregations around the world. At times the worship music was so joyously uplifting that I had a hard time standing still! I always appreciated it when the music was carefully coordinated with the theme of the service and presented at a volume that was just right. I enjoyed it when the worship leader provided fitting short segues from one song to the next, thus facilitating a seamless flow. Yes, there were those times when the music was not well-planned and presented. On a few occasions, members apologized to Tammy or me for music that was of poor quality. I mention this, not to embarrass anyone, but to encourage all who plan, lead and perform worship music to offer their best to God and to their congregation. in GCI’s Columbus, OH, congregation. 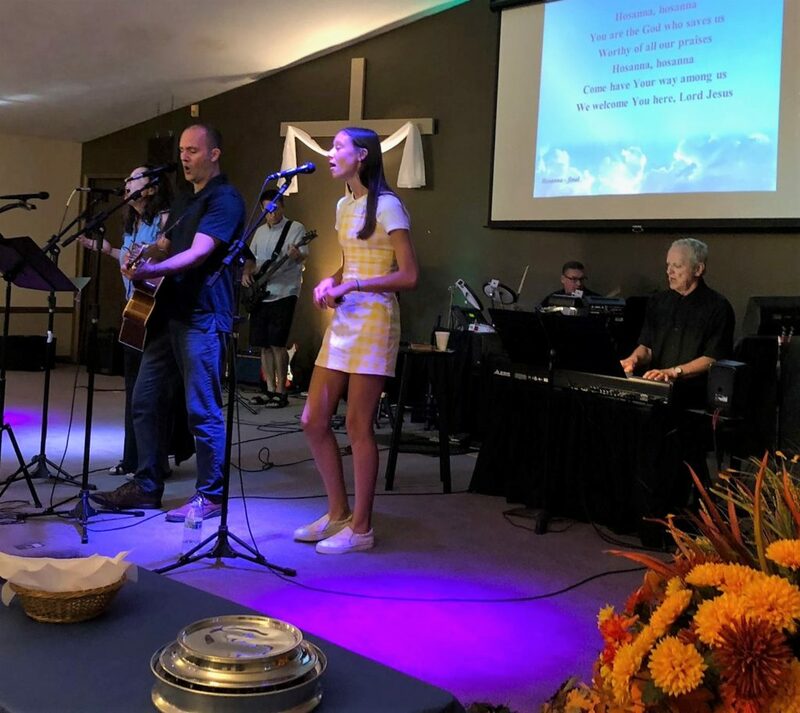 Though we have skilled singers and instrumentalists in many of our congregations (like the one pictured above), not everyone has the skill needed to lead or perform worship music well. This doesn’t mean that to be on a worship team you must be a musical genius like Johann Sebastian Bach. After playing one of Bach’s choral preludes, Felix Mendelssohn said, “If I had lost all my religious faith, this thing alone would be sufficient to restore it.” Though Bach worked various jobs to support himself, his great passion in life was proclaiming the gospel through music. It’s always a delight to be led in worship by people who are both passionate and gifted for this vital ministry. I know that many of our congregations do not have access to gifted worship leaders or musicians. I join them in praying that God will bring those human resources their way. In the meantime, there are multiple resources they can draw upon in providing worshipful music in their church services each week. Toward that end, let me offer some related observations concerning worship music. These observations come from my own experience and comments I’ve received from many people. Tammy and I recently visited the worship service at a medium-size church not far from our home. I was investigating the possibility of being a guest preacher there in the future. 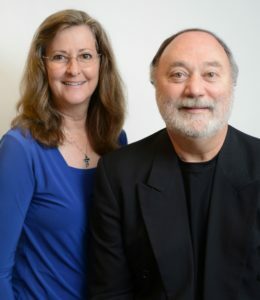 As the worship music began, Tammy and I could feel the bones in our chests vibrate and our ears begin to hurt. Tammy went to the back of the hall and an usher asked if he could help. She explained that she was trying to locate a place where it was not so loud. When he offered her earplugs, she thought he was kidding (we discovered that this is how the congregation assists people who feel the music is too loud). To avoid the pain she continued to feel, Tammy remained in the lobby until the music ended. My point in mentioning this is that worship music need not be painfully loud to be impactful. God is not hard of hearing. The purpose of music in worship is to help people share in Jesus’ worship of the Father, and when the volume creates pain, it causes people to focus on their discomfort rather than on God. Some of the most powerful worship I’ve participated in is when the congregation was singing acapella (without instrumental accompaniment). But no matter how the music is presented, the focus should not be the music itself, but Who the music refers us to—our triune God, celebrating his nature and character. Effective worship leaders avoid mini-sermons between songs. They understand that the goal of worship leading is not to be the star of a great performance, but to be an unobtrusive prompter who helps the congregation focus on our triune God. Though we all enjoy stories, the space between songs is not the time to tell them. Lengthy comments are also unhelpful and distracting, especially when they are theologically unsound. I once heard a worship leader invite Jesus into the service (as though he was absent). Perhaps they were unaware that Jesus, as God, is omnipresent. A better comment would have been, “Let’s join with Jesus, our true worship leader, who promises to be with us, even if only two or three of us are gathered.” Comments introducing a song should relate the song to the theme of the service as reflected in the Scripture readings and sermon. When all elements of the service follow one theme, there are fewer distractions and people are helped to focus on one, central word from the Lord. Careful preparation leading to orderliness avoids “worship killers.” Perhaps you’ve been in a church service in which the music was provided using CDs or DVDs. But the operator was unfamiliar with the equipment and the order of songs and so there were multiple, embarrassing starts and stops. Having the song list ahead of time enables the sound crew to make sure the transitions are smooth and the volume is consistent. In that way distractions are minimized and the worship has a harmony and coherence that aligns with who our Triune God is. I’ve been in services where the worship leader introduced several new songs, then lamented the congregation’s lack of participation! It is not helpful to introduce new songs each week. Let your congregation get used to a repertoire so they can sing the worship songs well and thus participate fully without too much effort. When a new song needs to be introduced, a good way to do so is to have it performed during the offering when members can focus on the words and be moved by its message. Please don’t introduce a new song to close a service. It’s best that most of the songs be ones the congregation knows well. This not only helps regular attenders, it helps visitors to be comfortable—imagine what a visitor experiences when they see most of the congregation struggling through a song. I love visiting GCI congregations and sharing worship with them. I want all our members, as well as our visitors and guests to experience the joy that comes with worshiping our triune God in song. When we worship together, from the heart, we experience part of the communion shared by the Father, Son and Spirit. Enabling and enhancing the congregation’s worship of God in song is a high calling and I hope these thoughts will help those who provide this important ministry week in and week out. Thank you for your understanding and insight Joe. I too have had to get up and go out into the hallway at some of our denominational meetings. Upon coming back in after the music on one occasion I was soundly criticized by the visiting Pastor for not participating in the entire music presentation. Oh well, it is comforting to know that neither I nor Jesus is hard of hearing. Far fewer decibels are appreciated. Concerning the issue of the loudness of worship music, when I’ve been asked about what volume is appropriate, I typically note that, to some extent, it’s a matter of personal preference. However, I also add that it’s a matter of health (as in the health of a person’s hearing). I point out that a typical rock band produces about 110 decibels (db), a motorcycle about 100 db, and an alarm clock about 80 db. In many municipalities, the legal maximum noise level is 90 db. 120 db causes significant pain for most people (some experience pain at a much lower level). Extended exposure to 85 db can cause hearing damage. Given these factors, I recommend that the volume of worship music not exceed 75-80 db (and be lower than that on average). You can buy a sound level meter from Amazon.com and other sources. Sadly our youth today thinks loud, louder, loudest is best. Not all, I realize, but the culture seems to encourage “loud.” Thanks Joe for reminding us of the basics to leading worship and that God is not hard of hearing. I think singing songs that are familiar with the majority present also makes for an inspiring service. I appreciate the Praise Bands and various groups, but often I feel like a spectator and not a participant. A bit of trivia…in Germany, where I live, employers are required by law to regularly take a hearing test if at their workplace the 85 dB mark is exceeded. Love the article! Thank you for your input on worship Joe. I love reading others insights on the topic. I just wanted to point out the hearing loss time permissible level at 85db is 8 hrs, 88db is 4hrs, 91db is 2 hrs, 94db is 1hr, 97db is 30min. That said I tend to run a 20-30 min worship set at about 90-91db in a room designed for sound (like the grand ballroom in Florida we used a few years back for the GCI convention) and about 85-88 db in a room not designed for sound (like a gymnasium). An important thing to remember is there are hot and cold spots in all rooms so it is important to do your db check in a hot spot, to be sure whomever is there during service is not getting blasted because you metered the cold spot in the room from the sound booth. It’s also good to know your room so that when complaints come (both; to loud and to quiet) you can advise those people where in the room they may be more comfortable. This week’s copy of The New Yorker magazine has an article of related interest entitled “True Believers.” Subtitle: “The unlikely endurance of Christian rock.” It’s a nice overview of the history of Christian rock and praise and worship in Christian churches. Sept. 24 issue. Our church is suffering because of the extreme loud volume. I noticed a couple of elderly ladies covering their ears. At the end of the service I mentioned it to the pastor. I want to be completely respectful, but I do disagree to a point. I think it is so encouraging and important to introduce new songs and music, especially when reaching out to the “unchurched”. The lyrics in some of the new music alone, could be sermons. Change IS a good thing (in my opinion) and if we aren’t willing to try new things to reach more people, then we will have churches who may be filled with people perfectly content with their routines, but where will those church’s be in 20 years? Sometimes going “outside the walls” requires some change “inside the walls” first. I’m in my 30’s. I appreciate traditional music, but I can not deny the Holy Spirits movement in contemporary Christian music. A great example is the song “Simple Gospel” or “No Longer Slaves”. I feel these songs completely embody everything we stand for as GCI (at least that’s what speaks to my heart). I can not imagine not having those songs through some trying times in my life and my walk with God. If our worship leader at the time (love you megan) hadn’t of brought them into my life. As far as the loudness goes, I agree with Ted, it’s a matter of preference. However, I personally enjoy loud music. It helps me focus on my worship instead of being distracted by the babies crying, doors opening (because lets face it, people are always going to come into church late 🙂 ), people coughing, etc. Anyway, I appreciate differing opinions, but for all you worship leaders out there who are introducing new music regularly, I personally applaud you. It’s not easy, it takes practice and planning, but you never know when you are going to find a new song that is life-changing for someone hearing/singing it. 🙂 Especially visitors. Again, I say all of this with much respect and love.